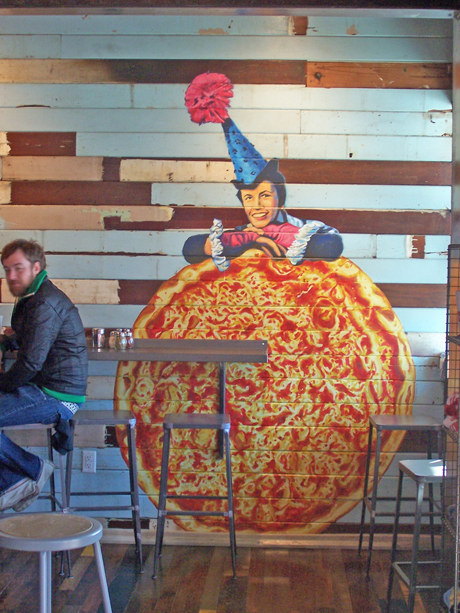 After their initial success, the people at Home Slice Pizza opened a second take out business in the building next to their original location. Since we had done the mural for the original location, they called us with this concept for their second restaurant. This entry was posted on Monday, March 22nd, 2010 at 6:02 pm. It is filed under Interior, Restaurant. You can follow any responses to this entry through the RSS 2.0 feed.